We enable customers to give the magic of true luxury with bespoke footwear; designed by the buyer themselves to create a truly personal, high quality gift. When designing our first range we went straight back to the archives. We wanted classic, elegant, English - yet nothing like what was currently on the market. We were looking for a spark. We've taken traditional English ready to wear forms and added the skills of incredibly talented bespoke makers to reach what we believe is the perfect compromise. Our shoes are complete with all the panache you'd expect from a handwelted English shoe plus the dropped lines, the shaped waistes and oak bark soles which are unmistakeable to those with an eye for quality. The most important thing to us is giving you the choice. The choice to be as a loud and eccentric or as classically reserved as you wish. 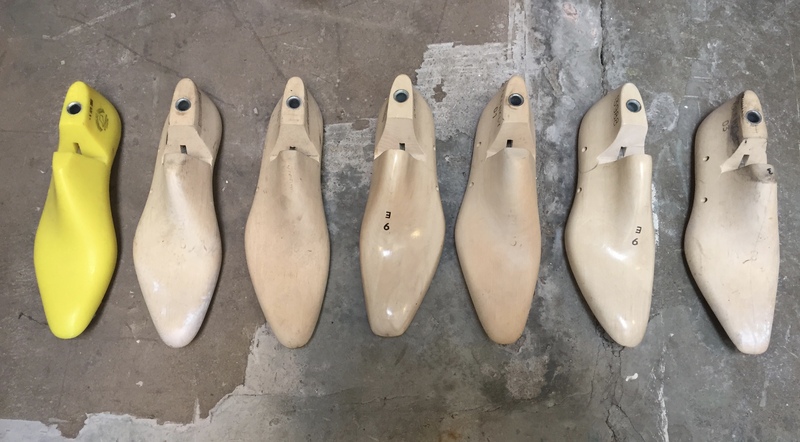 All of our shoes are available on three different last models, the 01 (elongated with almond toe), the 03 (rounded and more traditional), the 05 (chiseled at the toe for a more square finish). Each of our shoes finishes entirely differently depending upon which last it is made. We recommend you take a look at our shoe gallery to gain a better idea. The a-symmetrical insert in these Oxfords adds a touch of intrigue and whimsy to an otherwise very traditional style. The perfect shoe to play with multiple textures to suit both the conservative and more eccentric of styles. These look great with an accent colour, our favourite is on an almond last with a traditional black calf and a black crocodile insert. Chic, understated yet undeniably fun. 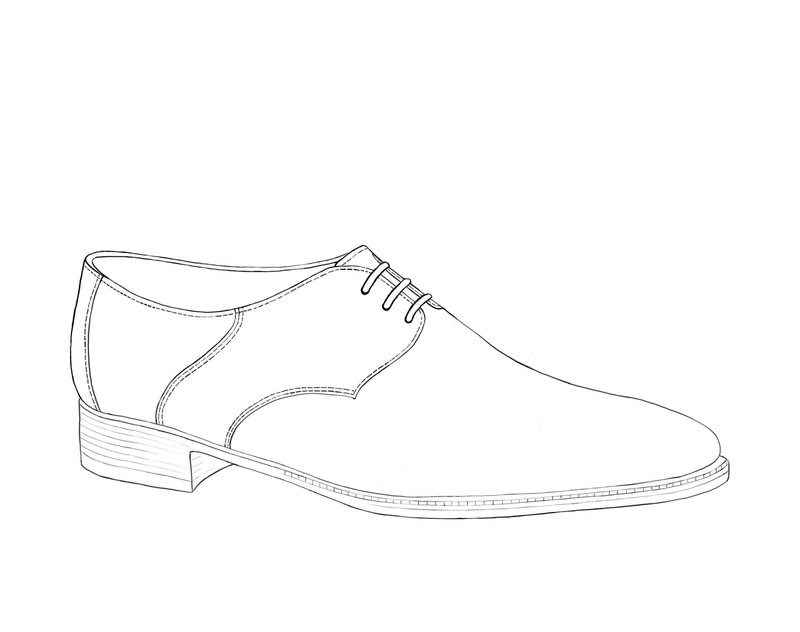 A Derby shoe is a style of Men's shoe characterized by quarters with shoelace eyelets that are sewn on top of the vamp. 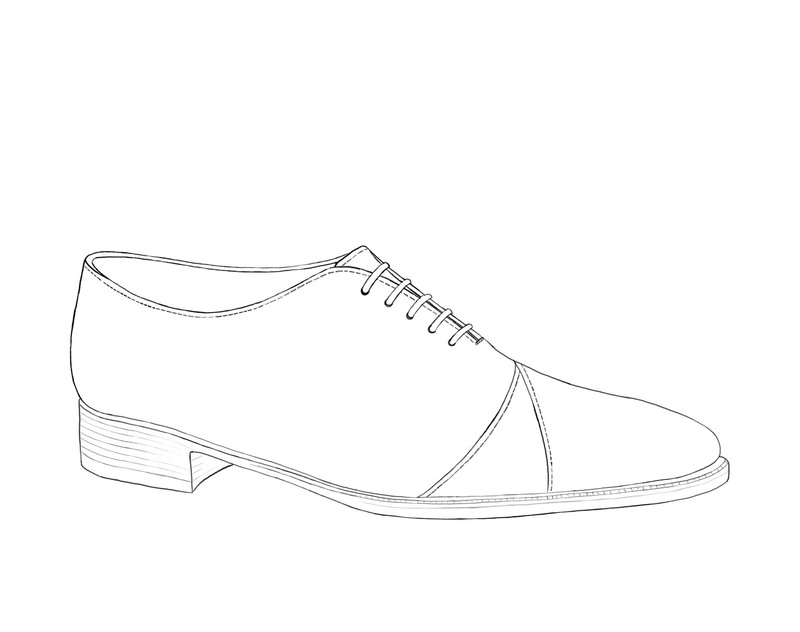 This construction method, also known as "open lacing", contrasts with that of the Oxfords. In many opinions, this is less formal than the Oxford and as such suitable for most combinations of leathers. 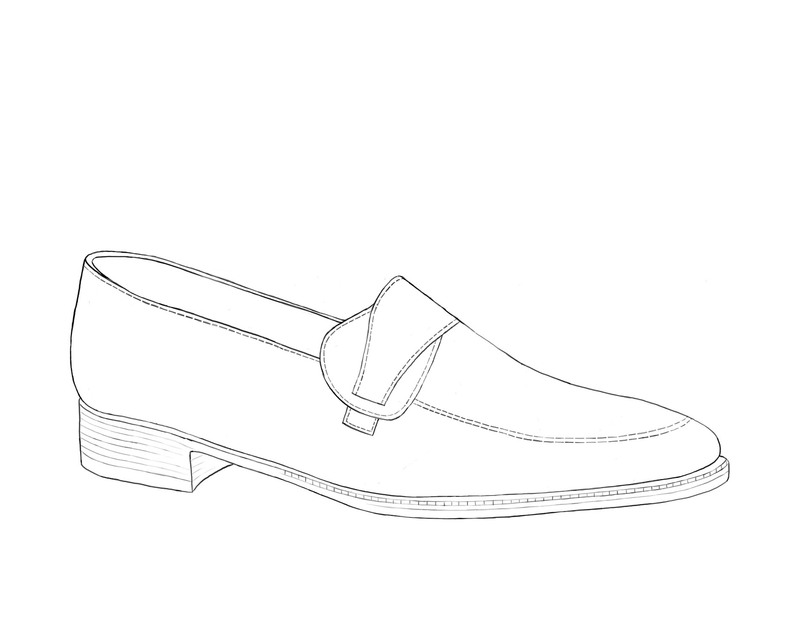 The Crossover Bar Loafer - another wonderful bridge between the ultra formal and more relaxed. A classic Calf or Crocodile will make this shoe a boardroom must-have. A more casual material such as our reverse calf suede will turn this into the perfect weekend shoe. 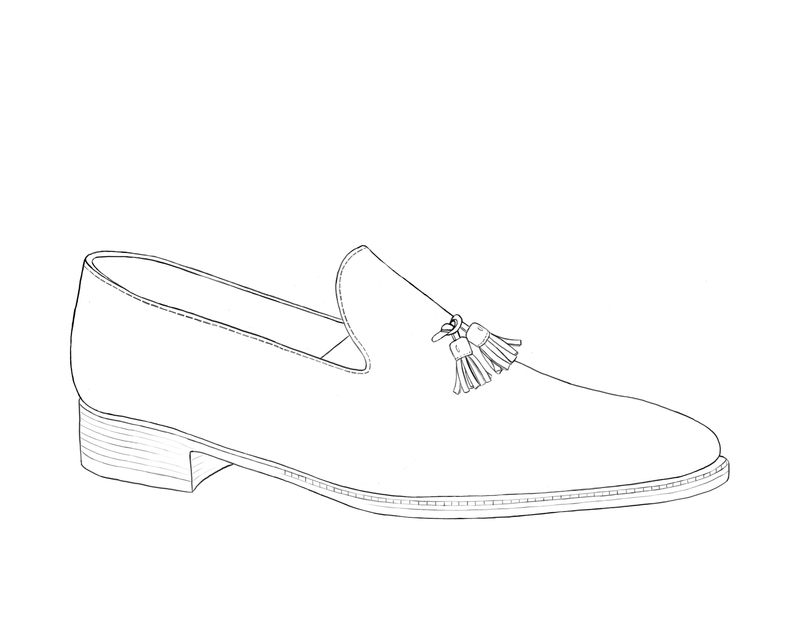 The tasseled loafer - for those who seek a little adventure in their lives. The perect combination of clean frontage, comfort and nonchalent ease. Available with two tassles in a range of colours and materials. 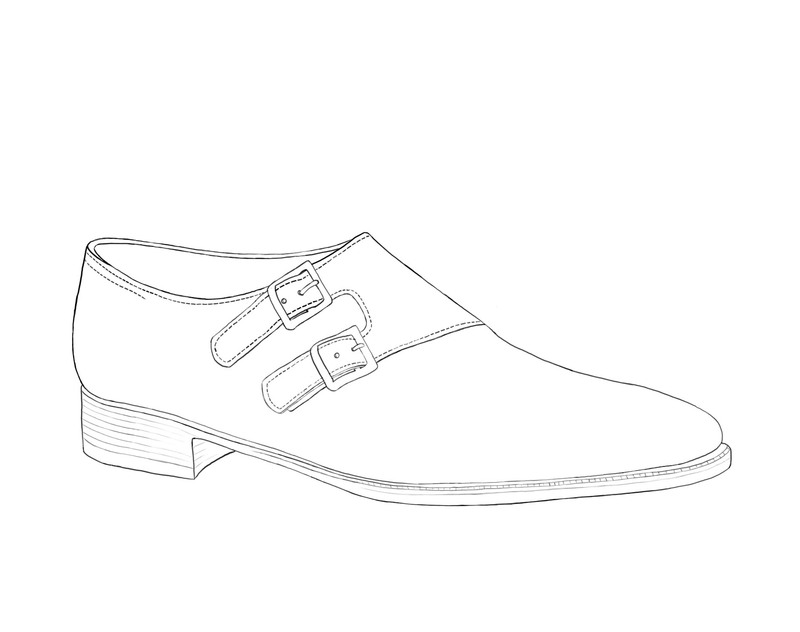 The Double Monkstrap - a more modern rival to the Oxford. Perfect paired with jeans, trousers or a less formal suit. Fantastic with a contrasting top strap to make a real statement. We are constantly innovating with our range of styles and patterns. Any imagery you see on the website which has not yet made it's way to the illustrator is currently still at sample stage for us. Please contact us if you wish to order these in the meantime. Sizing on the website is currently an English 5 through to 13, half sizes inclusive, all currently in an E fit. Should you need an alternative width fitting or size we are more than happy to accommodate your request and merely ask for a little extra time to complete production. For those seeking a fully bespoke service and made to measure last, this service is also available and we ask that you contact us to arrange an appointment.